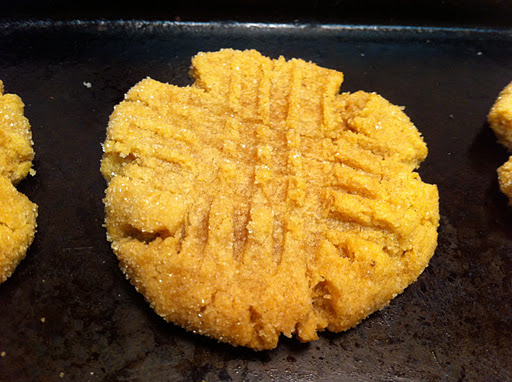 I wish I came up with this recipe myself…but luckily the lady from Simply…Gluten Free did. 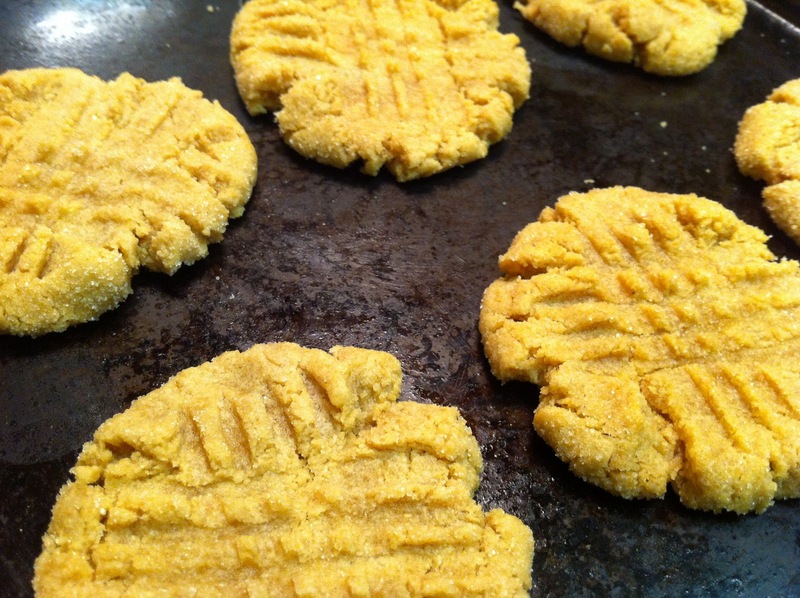 All I had to do was veganize one ingredient and voila: vegan and gluten free peanut butter cookies! If you like peanut butter, these are decadent. Preheat the oven to 350. Whisk the flax powder and water to make the flax egg and set aside. Mix sugar and peanut butter well. Then, add the flax egg, baking powder and vanilla and work to combine. Pour some sugar onto a plate. Using an ice cream scooper, scoop out a ball and roll it in the sugar. Place on a baking sheet. When you have all of the cookies down, use a fork to press them down (they won’t spread so you have to press them down.) Make the markings in one direction and then turn to press the fork in the other direction. Bake for 10 minutes. Let cool for at least 15 minutes before trying to move or eat them. They are crumbly but really good!